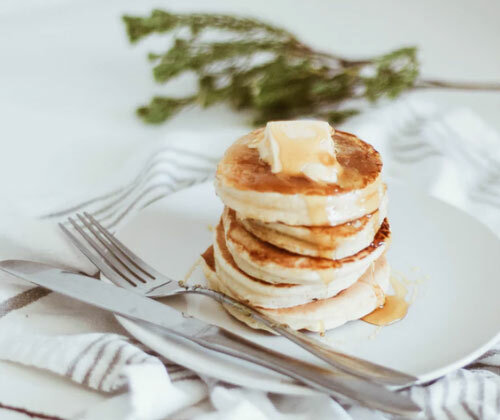 Who doesn’t love pancakes? One of the most popular desserts in the world, the tasty treat even has an entire day dedicated to its worship. You can top it with maple syrup, banana, nutella, bacon or even fried chicken – the possibilities are endless! Appealing to the masses, the pancake can definitely help Google in promoting its next OS. 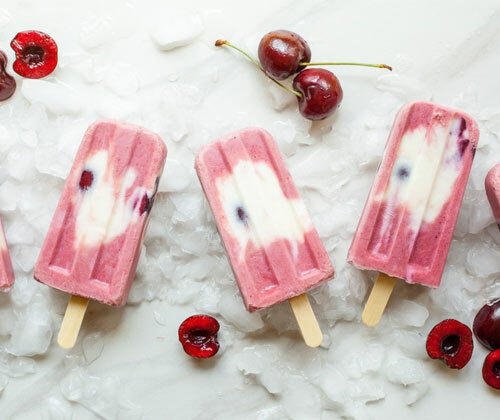 Android Popsicle is probably the most possible candidate for Android P! Although the word “popsicle” is mostly American, most of the world won’t find it difficult to understand its concept. This sweet, visually appealing treat won’t fail to create a positive impression for the new Android. The fact that Google has previously shown interest in brand names like Kit Kat and Oreo makes “popsicle” a more likely name of the next Android! Do you know Lollipop was internally called Lemon Meringue Pie and Kit Kat was Key Lime Pie? This “pie history” makes pumpkin pie a reasonable guess for what Android P will be named after. 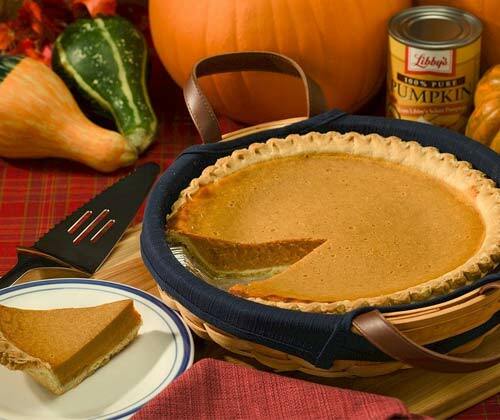 With two Pumpkin Pie days on the calendar (October 12 and December 25), the popularity of the dessert makes it an appealing name for Google’s upcoming OS! 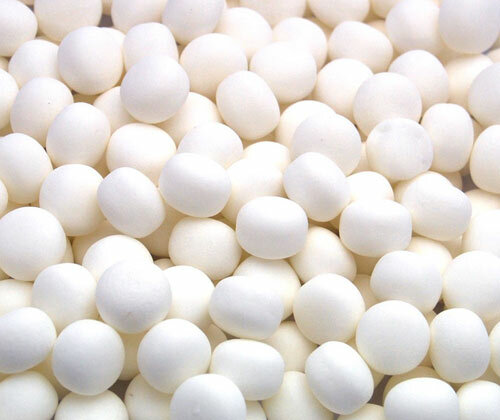 We know that peppermint is technically a plant, not a confectionary, but it won’t be hard for most people to relate it to sweets, chewing gums or after-dinner mints when hearing the word. Not only is peppermint a much-loved dessert flavour, it sounds as good as it tastes – “Android Peppermint” will be an unbeatable name for the latest Android version! 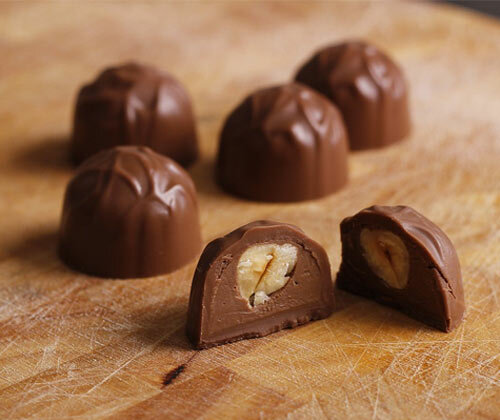 Originating in Belgium in 1912, the praline is a nuts, chocolate and sugar-based confection. It later diversifies itself into American and French varieties, offering different add-ons and hence experience. Also known as Belgian chocolates, these world-renowned treats have even become ingredients of other desserts such as chocolate brownies, puddings and mousse! Most importantly, the praline is a nice representation of the upcoming Android – the dessert and the OS are as graceful and classy as each another! Which name do you think is the most possible for Android P? We’ll found out the answer in less than a year! For more updates on what Android P will be called, helpful reviews and other awesome tech news, keep an eye on our blog. On the hunt for a new smartphone? Prefer Android to Apple? Well, you’ve come to the right place. We’ve picked out the latest releases, the crème de la crème of the latest smartphones to hit the market. So lets get started! With all the high-end features that most popular manufacturers include in their products, we are majorly impressed with the Honor 9. In comparison to manufacturers like Apple and Samsung, Huawei Honor isn’t as established, thus meaning it has a smaller customer pool and less customer loyalty which knocks down the price of the phone when it’s just as efficient and powerful as the Galaxy or iPhone range (good news for you)! The most notable feature is the eye -catching design. Available in sapphire blue and glacier grey with a chic glass exterior, this phone has a luxurious look and feel. 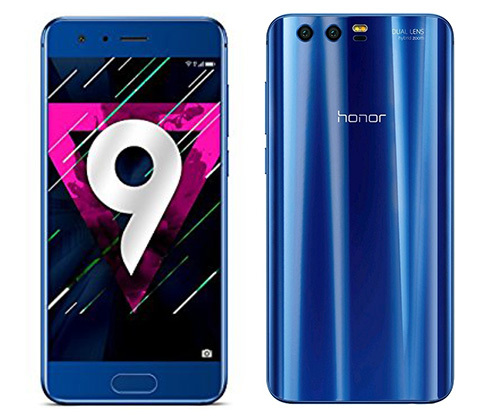 Although Honor isn’t as well-known as other manufacturers like Apple or Samsung, the Honor 9 is still in the league as being just as powerful as an iPhone, but more affordable. 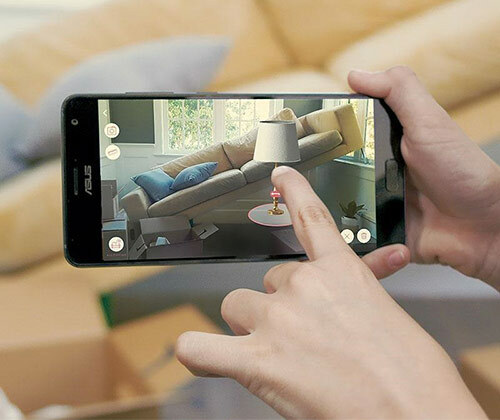 ASUS has topped the game with the first phone to be certified and come with Daydream and Tango, it’s probably a flagship product in the history of AR and VR products. So with the market for augmented and virtual products growing, this product has us intrigued. It’s more than just gaming- furnishing your new apartment? If only you could try furniture out the same way you try on shoes…Well, you can now! AR & VR is proving to be handy in day-to-day life so if it’s something that appeals to you, this phone comes highly recommended. Asides from that obvious golden feature, the phone itself is great. This phone takes quick charging to a new level, you can gain up to 60% in the charging time of 40 minutes, despite fast charging being a feature on many new smartphones we haven’t come across anything as fast as this. The unusually high 23MP front camera will ensure every snap or Instagram post is of immense clarity and of utmost detail. If you’ve jumped on the newly formed bandwagon of AR and VR, whether it be for gaming or for every day help- take the plunge if you can afford it! It’s the first and only phone to have such innovative features. With durability being this phones key feature, this is an ideal choice for those who are into extreme sports, constantly active or just plain clumsy. With all the powerful features of the well-known S range, this little guy is a little tougher. 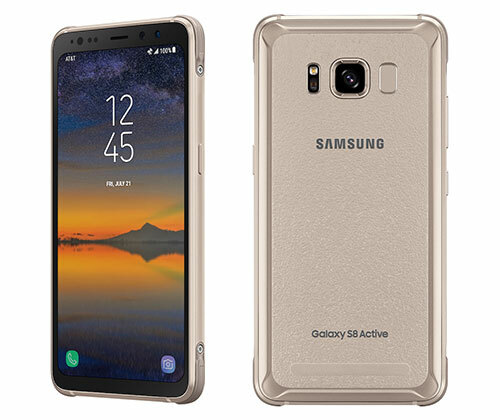 The S8 Active can survive under water for 30 minutes at a depth of up to 5ft. With a shatter resistant screen, this phone can withstand more than a few harsh tumbles. It is also equipped to handle more extreme climates that lesser devices would not be able to handle. Alongside this, its chip (the Qualcomm Snapdragon 835) has been proven to be up to 25% more efficient than the chip of its predecessor the S7 Active; alongside upping the resolution from 2560 x 1440 to 2960 x 1440. Hands down- a top choice for those who like to live life on the edge. Withstanding water and heavy drops, alongside being shatter-resistant this phone is tailored for those who indulge in extreme sports. Upon first glance, it’s a little tricky to spot the differences between the Z2 and its predecessor but there are some noticeable improvements if you dig a little deeper. It’s 13% thinner and 12% lighter (145g) and Motorola managed to fit a dual-lens camera in- amazing! The new 3500mAh battery can stretch battery life for up to 2 days (depends on use). 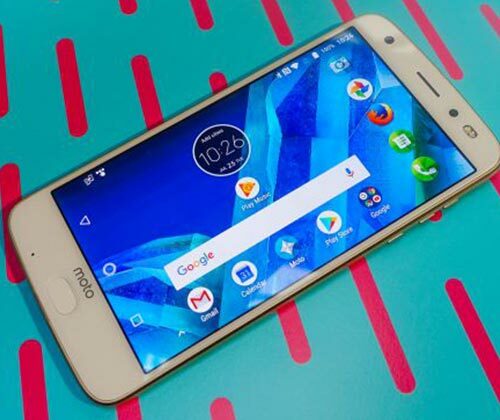 MotoMods further enhances the excitement surrounding this device, with choices of the Moto 360 camera, JBL speakers, an upcoming game controller, a 10x zoom lens, an attachable projector and the Turbo Power battery pack. Despite not being scratch proof or shock proof, this phone has immense 5 screen layers; effectively getting rid of the common screen crack issue that most people face. If you love to capture high-definition pictures but don’t want the hassle of carrying a DSLR- this is your perfect phone. 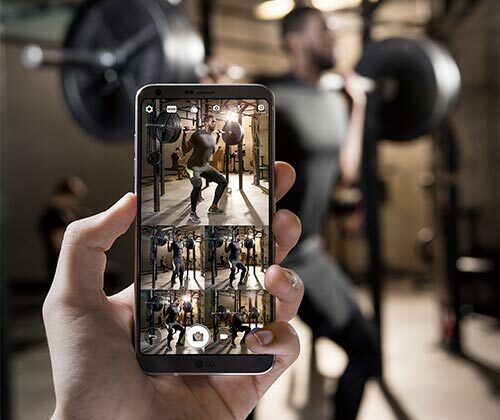 With the MotoMods to improve picture quality, alongside the included camera being of a high standard- you’re in for vivid photos and true-to-life imagery. It’s also a worthy purchase for those who need a little extra protection when it comes to everyday use. 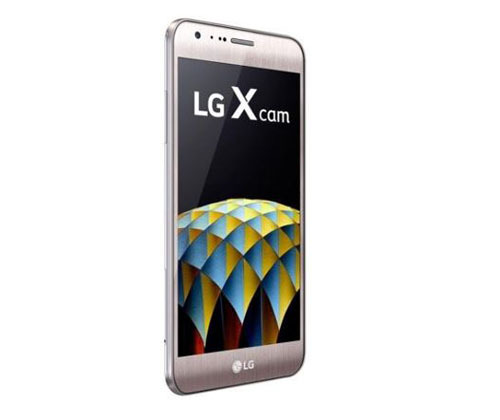 With its slick and durable design LG are onto a winner having made their best phone yet. The exterior is a combination of metal and glass, framed with aluminum, with 2 sheets of Gorilla Glass 5 on the back and Gorilla Glass 3 on the front. The platinum shade is by far the most eye-catching, so if you’re looking into buying this phone, see if you can get your hands on this colour. With new features such as IP68 certification of dust and water-resistance, this phone definitely tops the LG G5 with the additional features such as these. The Snapdragon 821 chip ensures smooth-sailing navigation, effectively elevating the phones efficiency and power-consumption, alongside decreasing thermal energy given off by the device earning its place in our top picks of the best Android smartphones released so far this year. This is by far LG’s greatest phone yet, so if you’re a fan of the brand and have the money, this phone would be a great purchase. The luxury design makes this an ideal buy for those who need/want to use their device in a formal or work environment. 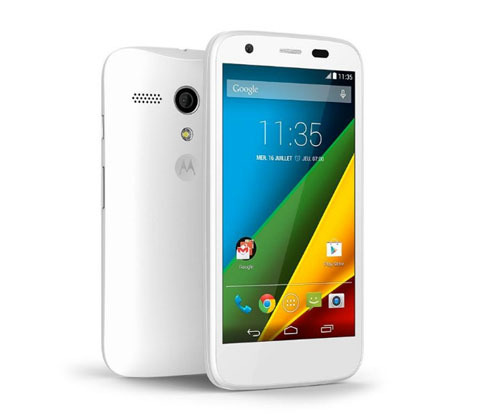 So there you have it, the latest and best releases of Android smartphones. If you were on the hunt for a new Android phone, we hope this article has been of some assistance. If you’re still undecided, check out our range of Android smartphones. For more updates on latest releases, top picks, helpful reviews and other tech news- visit our blog. An android phone can cost up to a fortune, so make sure you invest in one which will keep you in good company for many years…or until your next upgrade anyway. So fear not, we’re here to help you find your ideal device and make your search easier. So carry on reading to find out the top android phones to buy in the UK 2017! 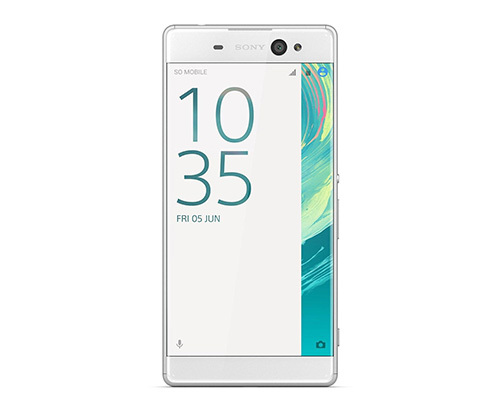 The new Sony Xperia is able to; capture bright and sharp images within a fraction of a second, Optical Image Stabilisation gives you picture perfect quality and clarity when taking a snap in darker environments, and the wide focal coverage enable to tap anywhere on the screen to focus on a subject. So if you’re a fan of photography or love to take pictures when out and about with friends, this is an ideal purchase for you. Always on your phone? Constantly out the house? You needn’t worry about charging as this Sony phone has a battery life of up to 2 days between charges. With a generation of new phones being released every year, Samsung is the only brand that comes close to rivalling Apple’s infamous iPhone. 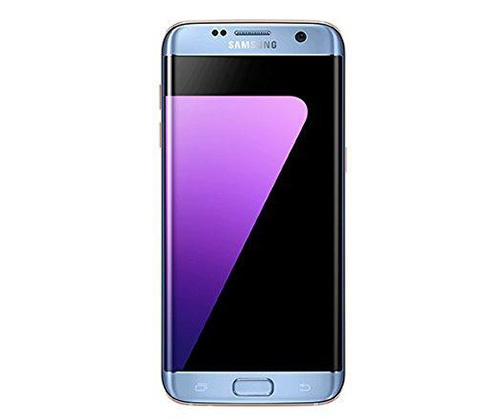 The S7 Edge gives you high-end smart phone features without a big screen that most newly released phones have adapted, as well as ditching the immense cost that phones such as its upgraded models and the iPhone come at. The elegantly curved design and size allows you to seamlessly navigate and use your phone with one hand and is the perfect pocket sized companion. Samsung propelled themselves onto the gaming front, the S7 Edge was the first smartphone to support Vulkan API enabling a greater gaming experience and prolonged battery life ensures gaming (and other phone use) for lengthier periods without the hassle of charging when on the go. 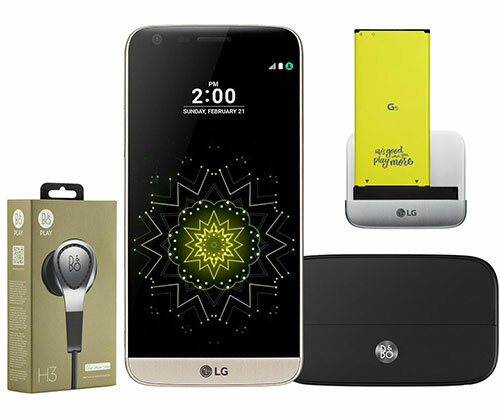 This LG G5, unlike any another phone comes with a bundle which contains a cam plus module, H3 headphones and a B&O Hi-Fi speaker. Regardless of this amazing bundle, the phone itself is absolutely remarkable. The ability to trap a massive frame of 135 degrees ensures no one will be left out of your group selfie! The slide out battery seems a little outdated, but for those constantly out the house or consistently travelling, it enables constant use so you can carry a spare battery and pop it in to ensure emails are returned and phone calls get answered. With a top of the range Qualcomm Snapdragon 805 processor combines with 3GB RAM, this phone is made for the most industrious of people, with the processing capability of handling power- draining apps, lengthy usage and multitasking. With an impressive screen resolution, 6” display and graphic quality, watching your favourite shows will be an immersive experience; without the usual hassles of squinting at a small screen and blurred images. Small, smart and straight to the point. An efficient phone for all your day to day needs, from emails, calls and texts to pictures, music and videos. Want to keep business and pleasure separate? This phone is the epitome of duality due to the dual-SIM configuration that allows you to have to numbers on one smartphone; so switch contact between clients and the family in an easy to handle fashion. As this blog comes to an end, we hope we’ve helped you end the search for the perfect android phone! If you’re still undecided, check out our range of android phones and you’ll be sure to find something suited to your needs! This year’s Google developer conference saw the launch of all of the exciting new products and services from the tech giant. The keynote, where they showcased all things Google for the upcoming year gave us an insight into a range of upcoming releases over the 3 day event. If you don’t want to know of every single announcement and launch, and would rather skip to all of the good bits, then we’ve got you covered, so read on for our top 5 highlights from Google I/O 2017! 1) Google Lens – A new app from Google called ‘Google lens’ is set to revolutionise the way we use our smartphone cameras. The idea is for you to be able to use your lens to be able to interact with the world virtually, allowing you to do things like pointing your camera at a shop and Google Lens will give you more information on it. More excitingly, it will also allow you to point your camera at a Wi-Fi router’s password label and it will automatically connect you to the Wi-Fi, so you don’t have to waste time with long Wi-Fi credentials or by making any typos. 2) Android O- The upcoming Android update is something everyone is always looking for more of an insight into, and so unsurprisingly is another one of the top 5 highlights from Google I/O 2017. The latest software update will feature an enhanced notification centre, more multi-tasking tools and capabilities, as well as picture-in-picture mode which will allow you to have a smaller screen open whilst remaining on another screen. 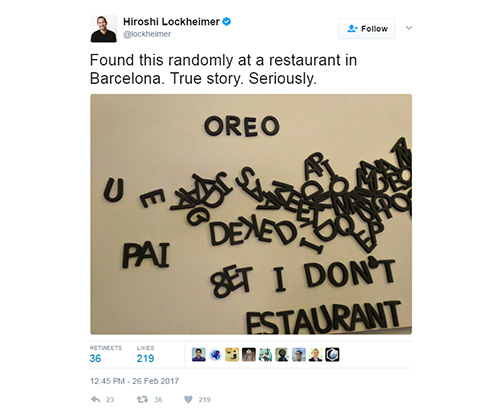 There were also some more hints that lead us to believe Android O will most definitely be called Android Oreo! 3) Google Assistant – Whether you were following the keynote or not, Google Assistant was huge news. The announcement that ‘Hey Siri’ could soon be replaced by ‘OK Google’ on iPhones as well as iPads created a lot of buzz. Disappointingly, it won’t be able to do everything that Siri does because of restrictions and won’t actually answer to the ‘OK Google’ command! The assistant is already available on selected smartphones like the LG G6, however the app will be available for download later on in the year for the UK. 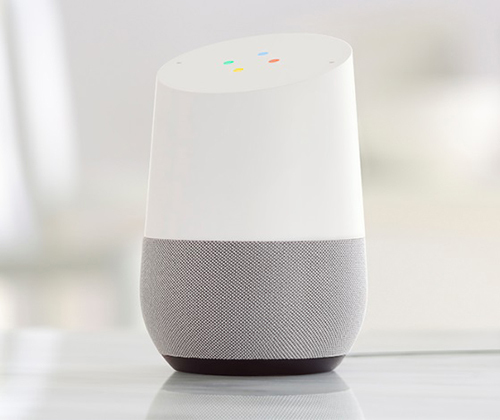 4) Google Home – As well as taking on Apple’s Siri, they are also taking on Amazon’s Echo with Google’s voice activated assistant, ‘Google Home’. However the smart speaker is set to be a real rival to the Amazon Echo with its new features. Although the previous version did not take off, the new Google Home will allow you to make hands free phone calls whilst displaying your phone number because it lets you link it to your mobile number. Also, as it is from Google it will have a world of content behind it and will be compatible with apps like WhatsApp and Spotify. 5) Google Photos – Google is working towards eliminating the issue of photos getting forgotten on our virtual photo albums with new tools for Google Photos. ‘Suggested Sharing’ will introduce a new way of sharing photos, and will use facial recognition to group photos together and make sharing them much more easier. It will create albums for you by recognising the faces in the images and send them all to whoever you want to send them to. What are you most excited about from the top 5 highlights from Google I/O 2017? Let us know in the comments section below! And if you’re after a tablet, feel free to check out our pick of the best tablets under £100 here! 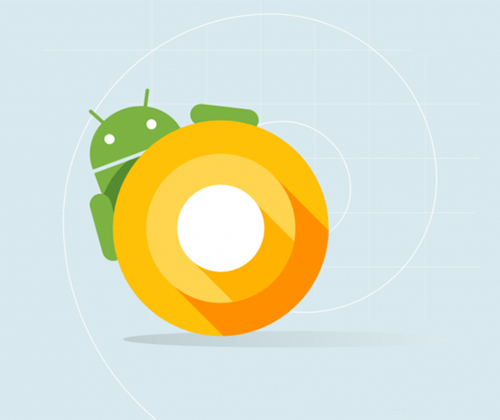 The Android O operating system is set to launch later this year, which is exciting news for all Android fans and even those of us that are not fans of the OS, as there are set to be big changes and improvements. The developer preview is already available to designers and developers, so if you want the latest scoop then keep reading for the details on Android O and what we know so far! First and foremost, let’s start off with the most anticipated and fun aspect of the new operating system. Most of us are of course looking forward to the big name reveal and want to know exactly what the O stands for. We already know that Google will almost certainly stick to their theme of naming their operating systems after a dessert, with them going in alphabetical order for example with Cupcake, Jelly Bean and most recently Nougat, however we are yet to see exactly which dessert it will be named after. 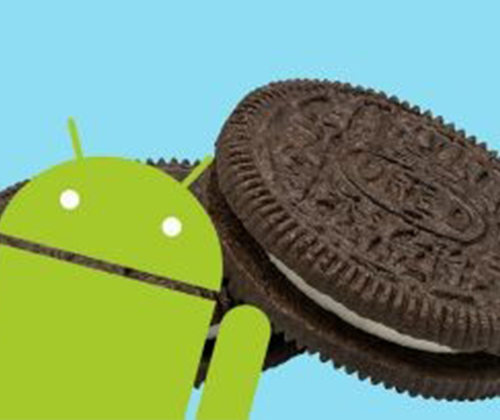 With Google’s head of Android hinting at the name Oreo on his Twitter, it has been widely rumoured that it will indeed be named after the world’s favourite cookie, however with Android Nutella being teased as Nougat’s name last year we’re not sure how reliable this rumour is! Android phones are becoming increasingly popular, and with a global market share of 87.5% at the end of last year it has become the most popular with us turning to Google’s Android, instead of the alternatives and this is widely touted to be because of the features that their software gives us. The key improvement and clear focus for Google with the Android O is with the improved battery life. Having a longer lasting battery is a luxury we could all do with and is the feature that is creating the most buzz for the OS. There’s nothing worse than having a phone with all the latest specs and features that doesn’t last more than a few hours without a recharge or even a few a day! Android O will let your apps save battery by making them work less in the background when it is unnecessary to do so; this is something which causes a significant amount of battery draining for most smartphones. So for example, when using your map whilst on a different app it will prevent the frequent refresh with the location services which is a common culprit of the unexpected decrease in our battery percentages! Another significant feature comes with the notifications; you will now be able to group them into categories making it easy for you to manage which notifications you want to see and which you don’t. An option to snooze notifications will allow you to select just how long you want to snooze it for with a simple swipe of a finger on the notification itself. You will also get to set an importance level to your notifications which then customises how notifications appear on your screen whilst you’re on your phone, depending on the level set. The excellent management of your notifications is something which is completely unique and useful to the end user making the UI more customised to every individual. Another highlight with the Android O and what we know so far is with the picture in picture capabilities, this means you will now be able to use your smartphone like never before! The new feature will allow you to open a screen within a screen, for amazing multi-tasking capabilities, which means you will be able to continue watching your favourite TV show and attend to the group chat all at the same time! This is something that we’re mostly used to from our computers, laptops and tablets (you can take a look at our pick of the best tablets under £100 here) but with Google bringing this over to our smartphones, it makes for a more creative and productive smartphone experience. Animated and adaptive app icons will animate based on user interaction making an overall more aesthetically pleasing and interactive user interface! This will please those of us that have always had our qualms about the overall look of the Android OS, and will satisfy the more organised of us who appreciate the effort of good attention to detail by Google, and it also means we have more customisation options for our home screens. The best news for every music fan comes from the better audio for wireless systems. The rising popularity of wireless audio accessories like headphones and speakers means most of us want the technology without compromising on sound quality, and now with the help of Sony, Google has been able to provide a richer sound experience. We will have more details after the 18th – 20th of May, and the 3 day event at Google’s annual developer festival ‘Google I/O’ and can expect a release in August this year if Google follow suit from last year. We hope you enjoyed reading the latest on the Android O and what we know so far! What are your guesses for the official name of the new operating system? Comment below and let us know! Android phones have come a long way from being the less significant competitor of Apple’s iPhone. MWC came to a close yesterday, and many Android manufacturers launched their much awaited devices on the platform. So many of us now prefer the Android operating system by Google over Apple’s iOS. Unlike the iOS which is exclusive to Apple, the Android system powers many handsets from a range of manufacturers. We take a look at the top 3 Cheap Android Phones under £200. Many of us may have forgotten about Motorola but at the very lowest end of the top 3 cheap Android phones under £200 (we currently have it for £69.99) and with it being packed full of sought after features, it makes this offering from Motorola a real contender. 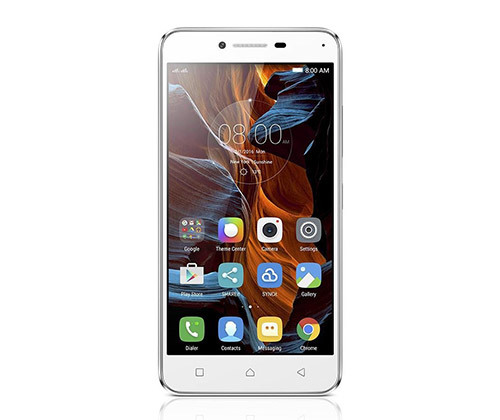 It comes with a 5MP camera and a reasonably sized 4.5 inch screen for those of us that don’t like carrying bulky, larger phones; it has 4G connectivity and 1.2GHz processor speed making it perfect for someone who would appreciate a simple phone that provides ease of use along with good value for money. 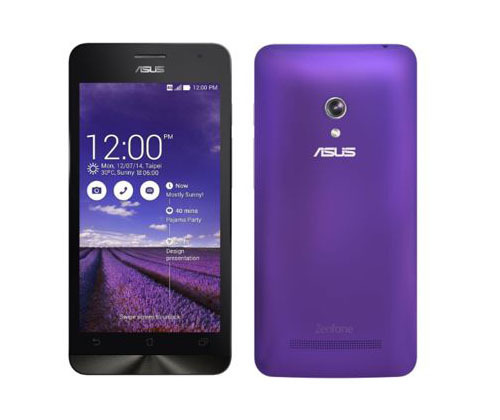 The ASUS ZenFone 5 provides all the features you would want from an Android phone at a very reasonable price. It comes in a range of beautiful and striking colours to make it stand out and it also has the specs to match. With an Intel Atom Multi Core Processor, and a 5 inch multi touch display, it also comes with ASUS Splendid which allows you to customise things like saturation to customise the display to your liking. It features ample storage space for you to be able to store everything you need and a long lasting battery life. 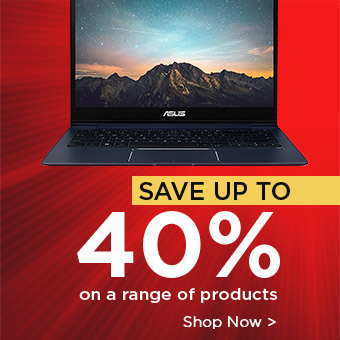 All in all, ASUS have given us a phone which provides excellent value for money. At the higher end of the £200 benchmark, The LG K7 is an impressive device in our list of the top 3 cheap Android phones under £200. It comes with a striking 13MP rear camera, the front camera is 8MP and it also has as a wide angle lens making it perfect for capturing moments. Its 5.2” full HD display and Android 6.0 operating system add to the overall experience, and it also has a 3D arc glass design, the use of bended glass by LG makes the phone comfortable but sturdy enough for everyday use. What do you love about Android phones? Which is your favourite? 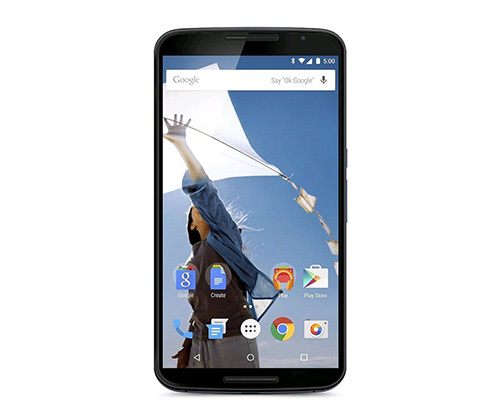 We hoped you enjoyed reading our choices of the best Android phones under £200. Comment below and let us know! Google have followed their tradition of naming the OS in alphabetical order and after sweet treats since Android Alpha and Android Beta. Since then there was Android Cupcake, Donut, Eclair, Froyo, Gingerbread, Honeycomb, Ice Cream Sandwich, Jelly Bean, KitKat, Lollipop and Marshmallow. During Google IO 2016 many hints emerged about the Android 7.0 update. Android 7.0 will introduce smooth updates so any future updates by Android will be initiated silently in the background with A/B partition switching. Android 7.0 will also give way to the introduction of Google’s new messaging apps (Allo & Duo). Android 7.0 will aim to cater to demanding VR and gaming apps with the Sustained Performance Mode, and Project Tango and Daydream VR devices will be supported by the OS. The improved UI is one of the best features of Android Nougat. The notification menu displays this change the most and instant control toggles are available when you swipe down from the top of the screen. Wi-Fi, Bluetooth and other applications can be activated much quicker than previously. Allo and Duo are the two of the most notable add-ons to the Android Nougat; they are both standalone communication apps. Allo is a new messaging app which utilises Google’s formidable search and security technologies. It allows users to make quick web searches, as well as providing automatic suggestions to reply to messages. Allo has an ‘Incognito Chat’ feature which provides end-to-end encryptions for messages as well as a Snapchat-style feature which allows you to set messages to expire automatically. On the other hand, Duo is Google’s new video calling app which can be understood as Google’s version to FaceTime. It has a ‘Knock Knock’ feature which allows users to see a preview of callers before answering. Calls will also be adjusted for usage on limited bandwidth connections with this feature. Android is known to be great at multitasking already, however Android Nougat has made it even better. The Quick Switch feature allows users to instantly switch back to the last app they were using with the ‘Recent’ button. There will also be a multi-window feature to Android nougat through the ‘Recent’ menu. Android devices tend to have larger screens which will make Quick Switch even more helpful. Google has extended its VR plans with Android Nougat, which was previously only Google Cardboard. Daydream VR will provide a much slicker mobile VR experience than before. Compatibility will be confined to the brand new Android handsets, however this means current phones will not be able to run it. 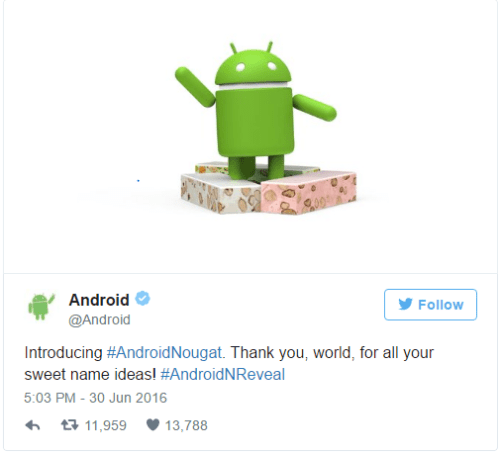 Android Nougat Developer Preview was first announced in March 2016. Preview 1 is the initial (Alpha) release. Preview 2 and 3 are subsequent beta updates. Preview 4 will include the final APIs and official SDK. Preview 5 is the closest to the final Android Nougat. The final release will take place after Preview 5 in Q3 2016. Although it will be released with Q3 2016, it will only be available on specific Nexus devices; thereafter more updates are expected to take place. Check back for the latest information on Android Nougat. The company has announced that its engineers took manual control of Google’s autonomous vehicles 341 times, having nearly been in 13 crashes between September 2014 and November 2015. Of the 341 incidents, 272 were caused by technology and system failure. The technical problems were established within itself, ranging from sensors malfunctioning to software issues. According to Google, this isn’t very troubling as they are focusing more on how the car makes quick decisions while on the road and making improvements to the software and hardware before going to market. The cars can currently recognize hand signals from traffics officers and think at speeds better than humans. The state of California requires a special license and for Google to provide all information regarding how the cars will autonomously work in the real world for this innovation to be a success. Alongside this, manufacturers were requested to record and report every “disengagement” (incidents whereby human drivers had to take control of the wheel for safety reasons). Of which during the 14-month period Google cars did over 424,000 autonomous miles along with 341 disengagements. Google is making improvements slowly but surely with Chris Urmson, the project’s technical lead emphasizing Google needs to make the cars much safer than human drivers (over 90% of crashes kill over 30,000 people in the US each year). So far the performance of the cars doesn’t quite demonstrate vehicle owners have the freedom to be “hands-free” from the wheel and peacefully have a cup of coffee while reading the daily newspaper on the way to work. A California-based campaign group insisted that self-driving cars still need a human behind the wheel. But for what it’s worth, Google said it is only ‘significant’ times when humans were forced to take over the wheel because of “a recklessly behaving road user” and 8 times they had to “disengage for incorrect behavior prediction of other traffic participants”. A lot of work still needs to go into perfecting the automobile technology such as testing in weather tougher conditions and urban areas. 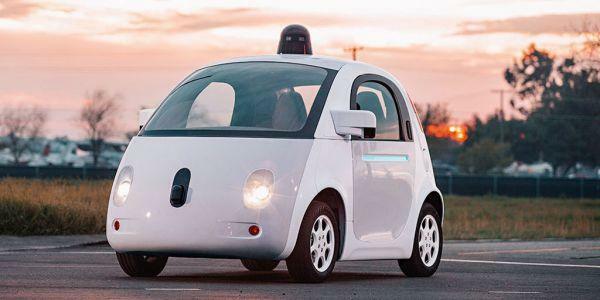 Google has predicted the cars will be launched by 2020. While Google’s parent company Alpabet has reported to jump on the bandwagon of self-driving car technology into its own business end of this year. Samsung Galaxy S6 is evidently the best version in their range of smartphones with our prices starting from only £349.99 (RRP £ 479). It is also the best smartphone in the market in many ways. Featuring a new and unique exterior design, and an even more improved camera quality, producing the beautifully vibrant and saturated images which Samsung is already known for. The Samsung Galaxy S6 incorporates all the winning features of Samsung phones as well as improvements; it has the fastest multi-tasking menu compared to any other phone! Display/Screen: The Samsung Galaxy S6 features a new and innovative exterior design –incorporating the best aspects of each smartphone exterior on the market. The smartphone is easy to hold with curved glass –an improved version of the Samsung Note 4. The metal sides and glass back and front (specifically made with Gorilla Glass 4) are visually pleasing, with a bottom, including the charger port, which is almost identical to the iPhone 6. The Samsung Galaxy S6 has much better build quality than previous smartphones in the Galaxy range; however the thinner structure has compromised the external battery and micro SD card slot which existed previously. This is a minor disadvantage as storage options vary from 32 and 64GB. 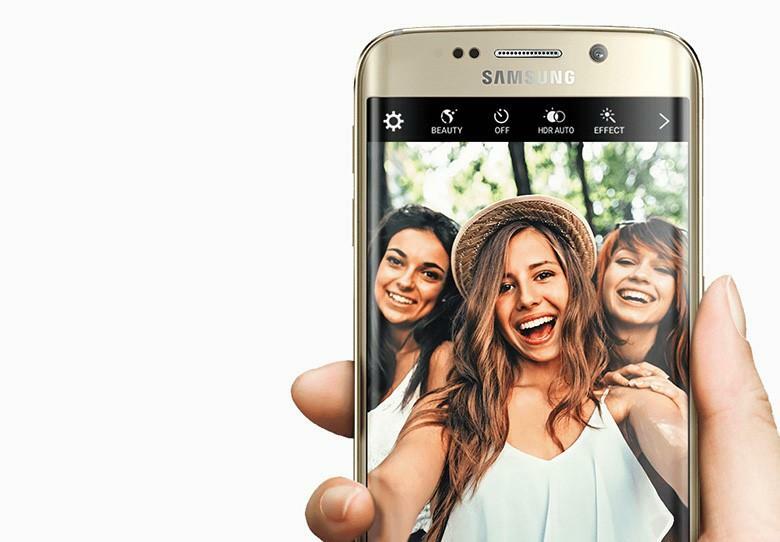 The Samsung Galaxy S6 camera features a very impressive 16 megapixel sensor, 4k video and LED flash, making it the best camera in any Android smartphone. It is amongst the best cameras available in any smartphone, alongside the iPhone 6+. 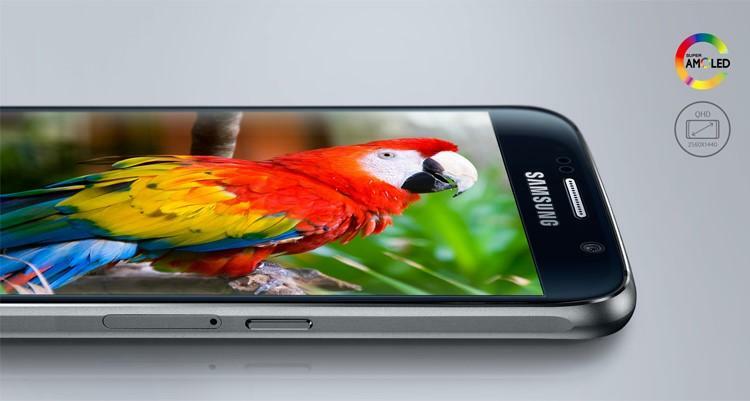 The Samsung Galaxy S6 retains the TouchWiz custom user interface which is seen in all Samsung smartphones, however new features have been added. The option of customizing settings, the drop-down notification bar and keyboard is available, as well as the inclusion of Microsoft apps (OneNote, OneDrive and Skype) which are already installed. The drop-down notification bar also includes an option to change the brightness, which was not included in the Samsung Galaxy S5 software. Application security and storage maintenance is also provided in the Samsung Galaxy S6, in the form of phone management applications. The Samsung Galaxy S6 features their own Octa-core Exynos 7420 processor with 3GB RAM, rather than the expected Qualcomm Snapdragon 810 Chip. The Octa-core processor ensures the Samsung Galaxy S6 has the fastest multitasking menu compared to any other phone, and the slow gallery issue in the Samsung Galaxy S5 has now been renovated. The display has improved significantly –it big, bright and beautiful, and is narrower than the Galaxy S5. The picture quality is brilliant, displaying vivid saturated colors, and high-level visibility outdoors. The screen almost looks like paper! Samsung is known for bright displays and exceptional picture quality; however the Samsung Galaxy S6 has an even better camera than the Samsung Note 4. Fastest multitasking menu compared to any other phone. Cannot change the brightness of the buttons. Verdict: It is fair to say that the Samsung Galaxy S6 is one of the best smartphones currently available in the market, if not the best! It retains Samsung’s exceptional standard of smartphones, and is a commendable revamp from the Samsung Galaxy S5, due to the many improvements made. Impact of Android Update; Features of Marshmallow – How These Features Can Be Helpful? 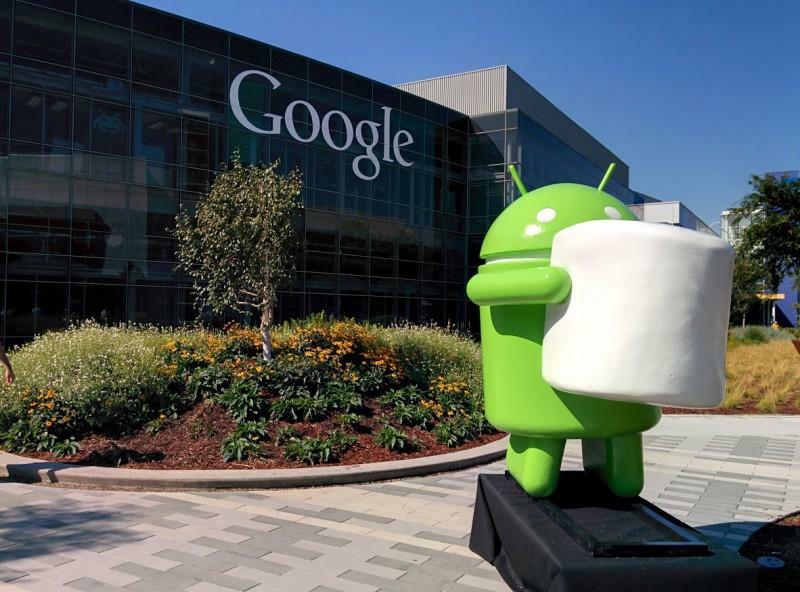 Google has launched a new 6.0 Marshmallow version of its Android OS. This version is up and available for those having the devices from “just-announced” Huawei Nexus 6P or LG Nexus 5X ship and some others like HTC Nexus 9, Asus Nexus 7 (2013), Motorola Nexus 6, LG Nexus 5 and the Google Nexus Player. The others may receive this update by mid of November and onwards, depending upon the Android device they have. Google has promised the new update will feature a lot of improvements allowing users to have more control on their devices. 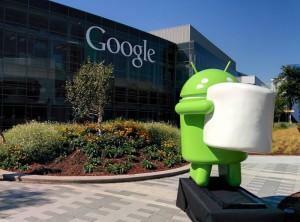 The Marshmallow update will also enhance the performance of the gadgets, as stated by Google. Moreover, the company promises newer and better ways for users to interact with their smartphones. One main feature that Marshmallow Version has completely overhauled is application permissions. Now, you will have the discretion to grant the mobile applications individual permission. This means, when a certain application in trying to gain access to your microphone or the device camera, a notification will pop up on the screen alerting you of the access. Moreover, you will be asked for permission before the application can gain complete access. This is a major achievement from the former versions where you had mainly two choices. You had to give complete access to the application or not install it from scratch to avoid such authority. Another cool feature introduced in this version is the Now on Tap. This is more of a smart assistance offered by Google for its users. Regardless of what you’re doing, once you use the feature, you will be able to take complete use of your screen. All you need to do is press and hold the home button and let the Now on Tap feature analyze the context or information you were looking at. The results will be related cards to that information. For instance, you receive a text from your friend about going to the theater for a James Bond movie being aired over the weekend. Press and hold the home button and let the Now on Tap do its thing. It will automatically recognize the text and provide all the information available regarding that movie, its screening timings and whatnot. Now Android has also given you the authority to open up a link on the application of your liking with App Links. If you have a link you are trying to open either in your inbox or email, once you tap open the link, you will be asked in which application you would like the link to open. This way, you can set your default application that you like for opening links to videos or information. Though sometimes it can be annoying but still you have your control over your phone. Android applicants had one complaint day in day out which was unpredictable standby times. It was quite annoying. The standby time of their phones varied because of the applications that were running the background. The applications affected the performance and standby time of their device. Well, not any longer, as Google looks forward to improve this defect by introducing the Doze feature. The feature will detect when your device is not being used and is motionless. Once identified, your device will go in a deep sleep mode. Another great feature added by Android is seamless backup option with the Automatic Backup and Restore. This was missing in all previous launches by Android but now they have looked into the matter and have provided users with this feature among the many others discussed.